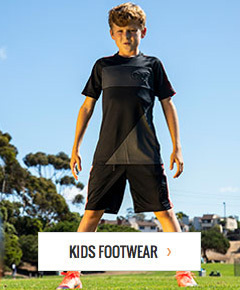 soccerloco has all the gear and equipment you need to stay prepared and maximize your performance on the field. From bags to goalkeeper gloves, our clearance section features a wide range of discounted soccer equipment from some of the biggest brands in the industry, including adidas, Nike, Bownet, Kwik Goal, and Reusch. When you shop soccerloco, you get the best quality for the best prices on the web, saving you money for more soccer gear in the future. We offer flat rate shipping on all qualifying orders and provide quick, hassle-free returns. Shop our selection of marked down soccer equipment now to find exactly what you need to stay prepared on the field.